Half the fun of a party is in the prepping stage. 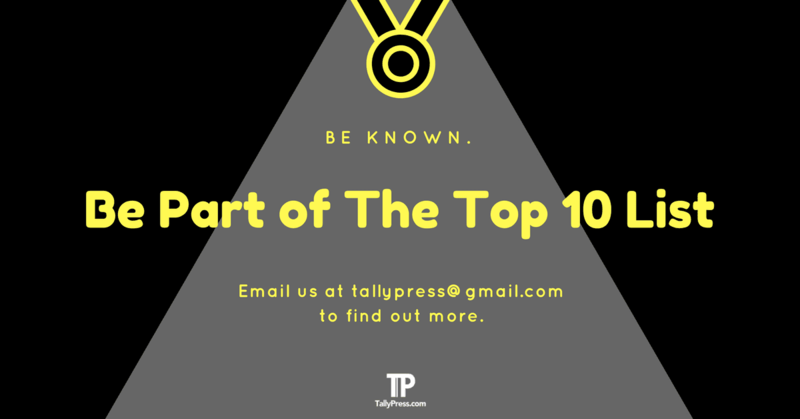 If you’re planning a party and are on the lookout for some party favours and decorations, check out the Top 10 Party Stores in Singapore. At The Party Stuff, you can find items for just about any occasion. 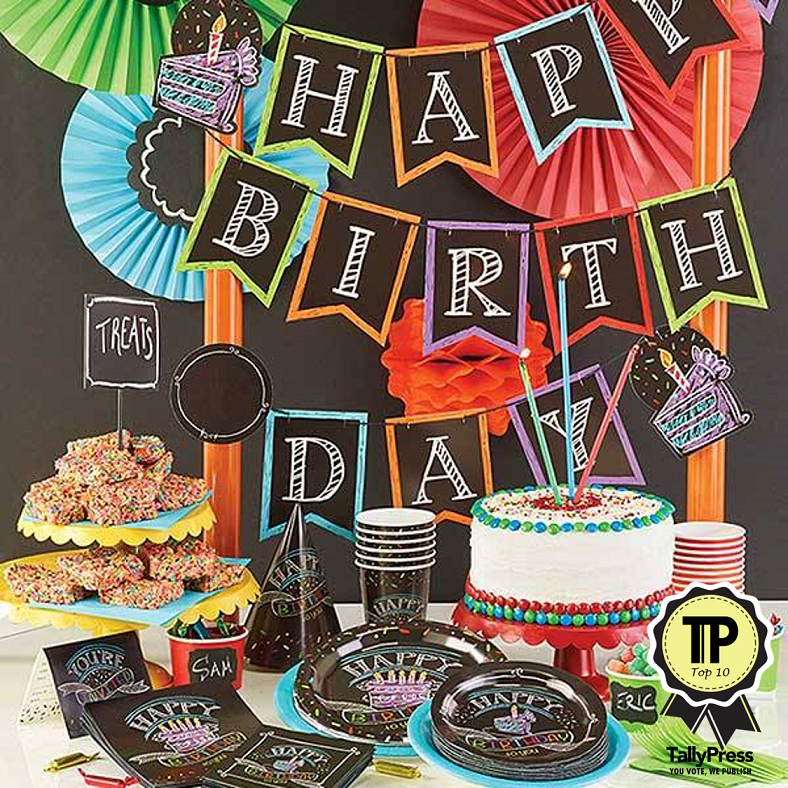 From birthday parties to baby showers, and any theme you can dream up, they’ll have the supplies you need right here. They currently have two physical stores – at Clarke Quay Central and Velocity @ Novena Square, and a showroom at Tan Boon Liat Building. Better yet, just shop from home, since they offer online shopping as well. Created by a party enthusiast, Sprinkie Parties is located at Joo Chiat Road (or online, if you prefer an easy mode of purchasing your goods!). 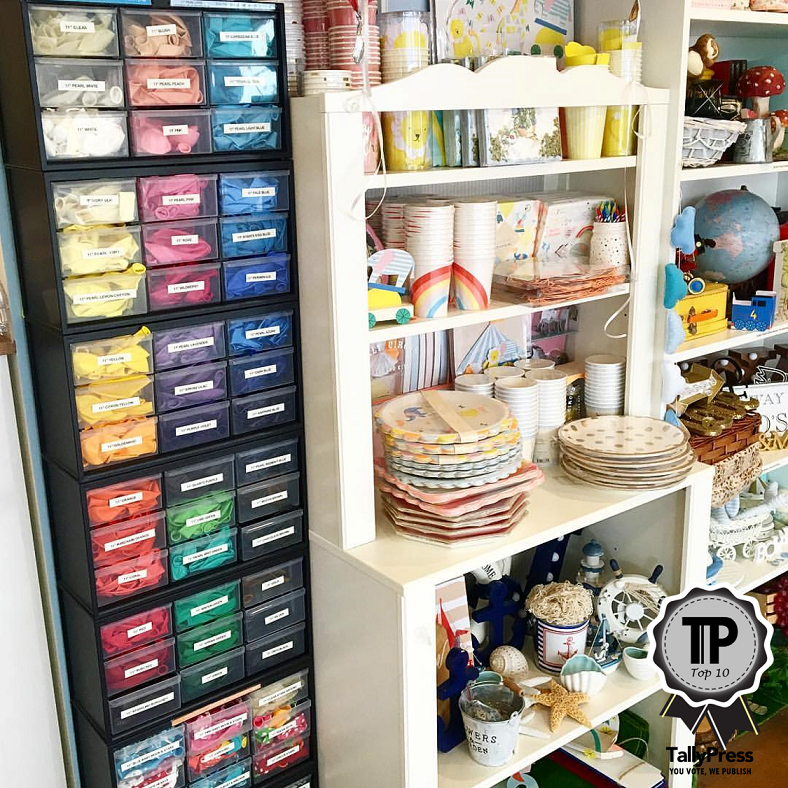 This store sells decorations, balloons, and other party supplies, but you can also choose to rent dessert stands, candy jars, backdrops and photo booth supplies. You can even engage their party package services if you want everything handled for you. 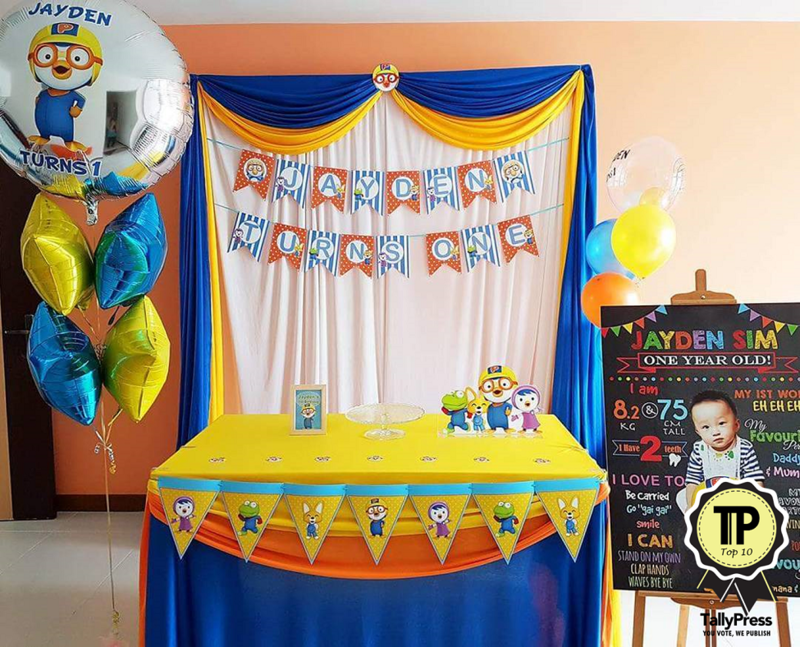 This online store was founded by two mothers so you know you’re in good hands with people who’ve been there and done that handling their own kid’s parties. The focus is on children’s items, and these are sourced from all over the world. You can search for party items according to theme, such as Pirate, Ninja or Princess (just to name a few). 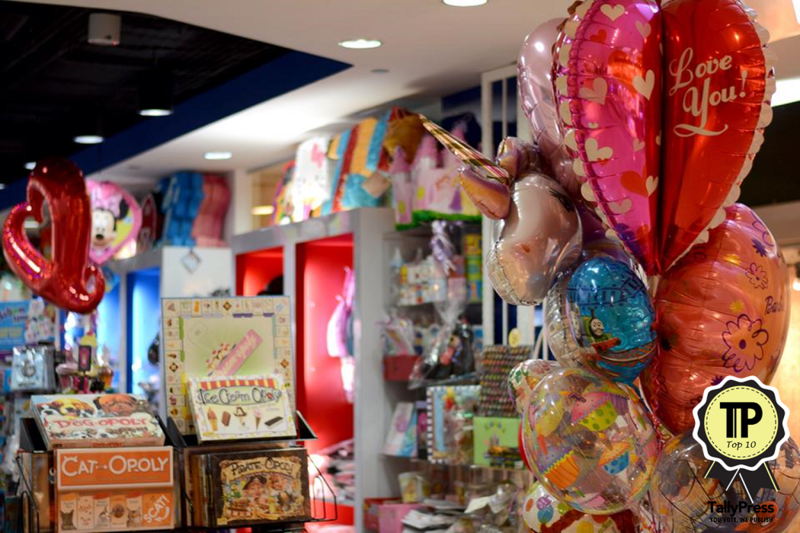 With stores at Waterway Point and Westgate, as well as an online store, you can easily get items from Kidzpartystore. They cater to just about any occasion, from weddings to baby showers. You can search online according to theme, season and occasion, and even filter according to your budget. They also have a wide range of helium balloons available, as well as customizable decorations. 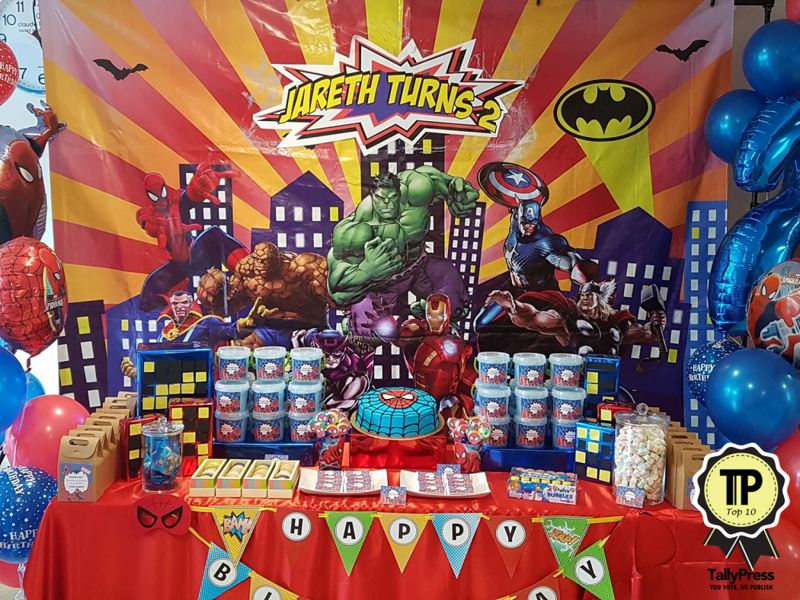 Want an Avengers themed birthday party for your kid? Or perhaps Disney Princesses are the preferred theme? Whatever it is, you would be able to find something suitable at One Party Store. Besides kid’s parties, you will also find products for baby showers, Valentine’s Day, or Mother’s and Father’s Day. 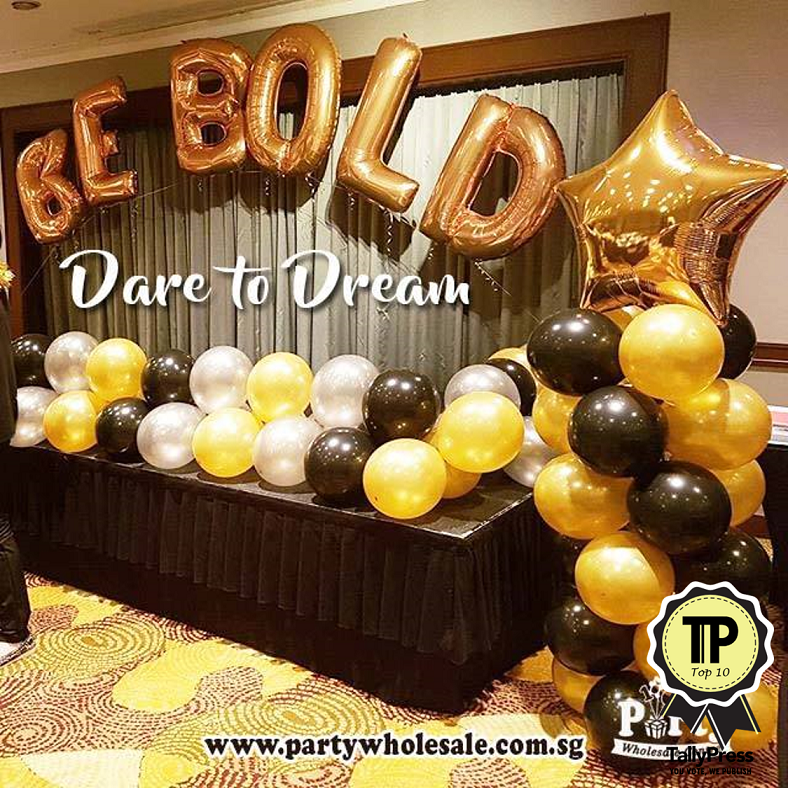 For party supplies at wholesale prices there is Mtrade, which has items for all sorts of parties. They also have licensed party supplies so you’ll find items related to popular shows. You can also get solid color partyware, pinatas, balloons and other items. Their online shop is simple to navigate, and you order will be ready for collection or delivery within 2 to 3 working days. With a promise to satisfy all your party needs, you can bet Party Monster will deliver. Whether you need to sort out a kid’s party, or a corporate one, you can get supplies here. They sell products featuring licensed characters from Disney and My Little Pony, and many others. 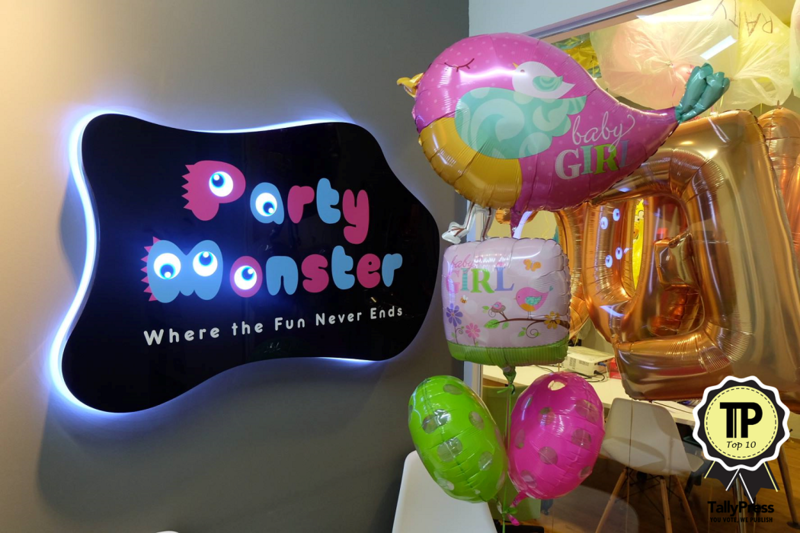 Party Monster can also assist with party entertainment and even catering. Packages for parties are also available. Party Joy has been around since 2005, and they claim to have revolutionized kid’s parties into more sophisticated events. 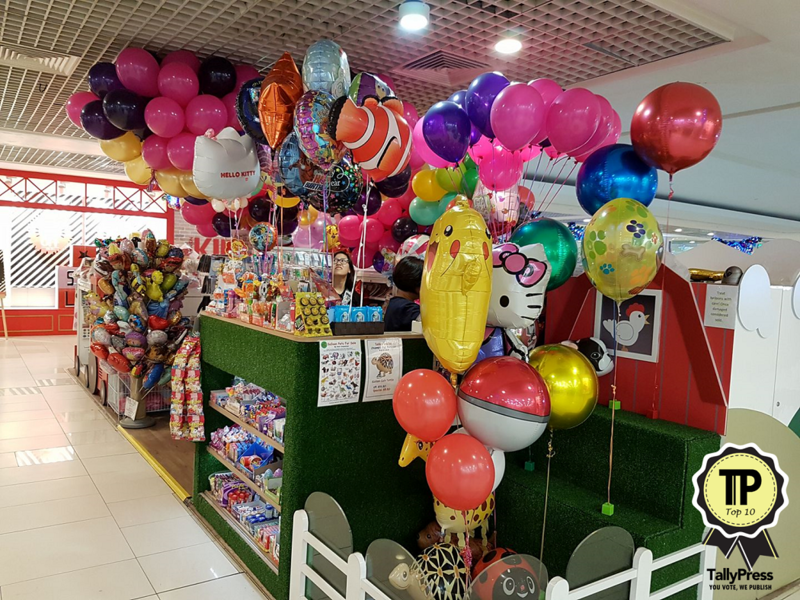 You can find them at Parkway Parade Shopping Centre to get items for your event, whether you need piñatas, party favours or even candy. They even have Balloon Delivery services, an innovative service for sure. From Peppa Pig to unicorns, there’s a theme here for anyone. They have themes that are designed exclusively by their teams, and you’ll be given simple instruction manuals to set up during the party. It’s that easy! They have items for baby showers, children’s and adult’s events, weddings, proposals and even anniversaries. 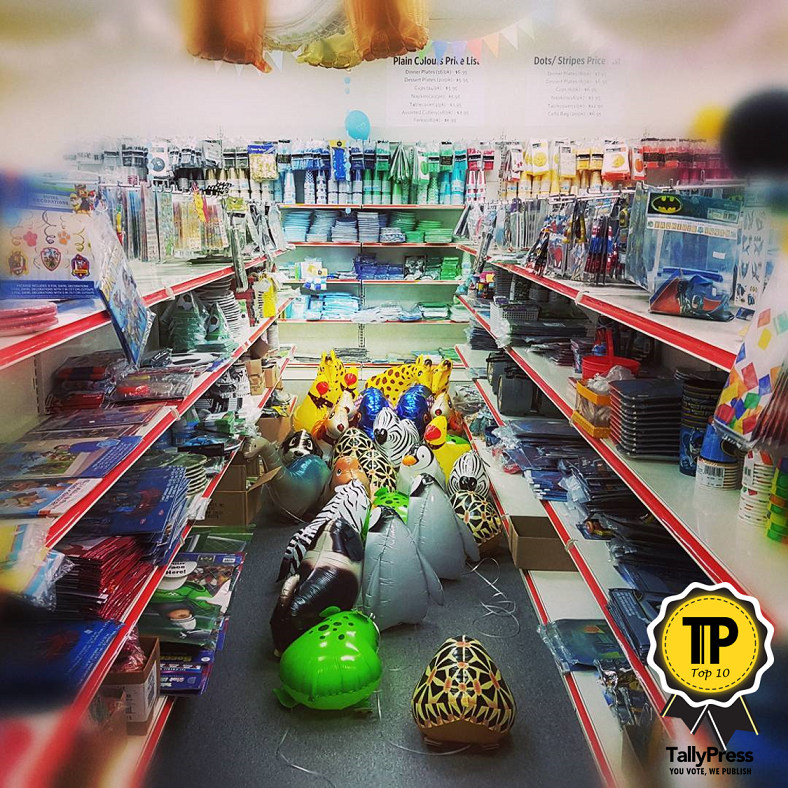 At Party With Us, you can find party supplies, costumes, gifts, balloons and all the things you might need for a themed party. 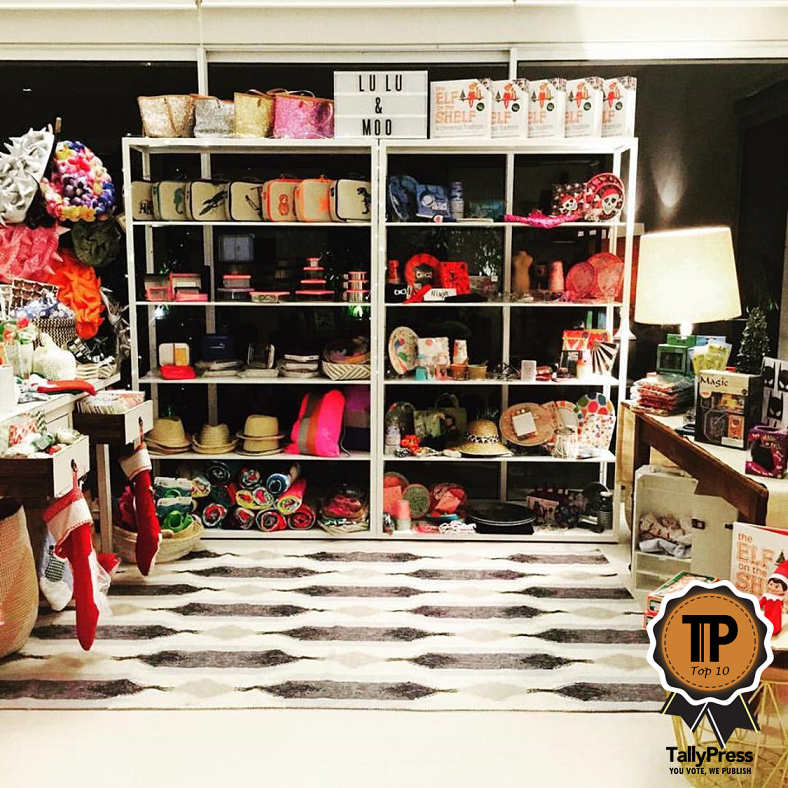 If you like you can shop for their items online, but you can also opt to visit their physical store at Bukit Timah Plaza.